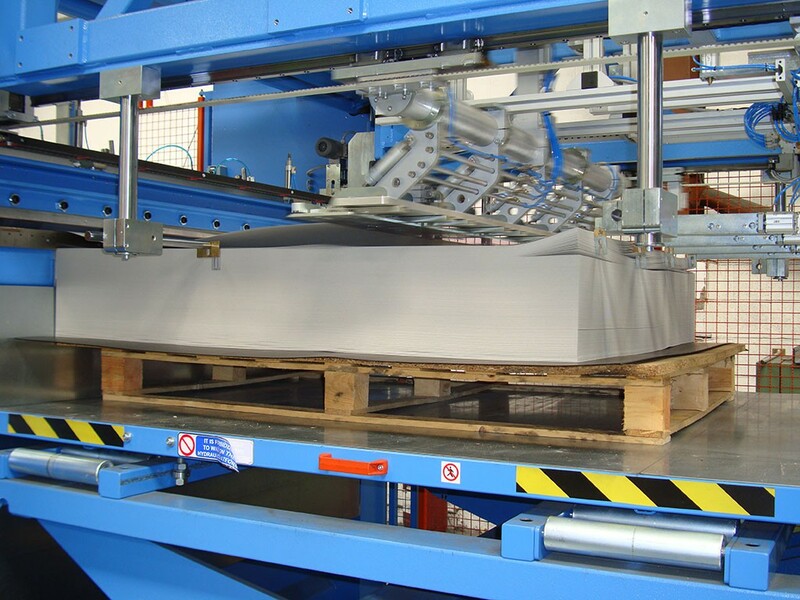 PASQUATO designs automatic stacking device by grippers for more easily handling the high – stacking of soft materials or sheets in large format. The grippers can stack the sheets on the top of the pile, following the unwinding of the web with no tension at all. The self-lowering hydraulic table has a load capacity up to 2 tons.